Lauren H, is an RVT. She started at Campus Estates Animal Hospital in March 2013. 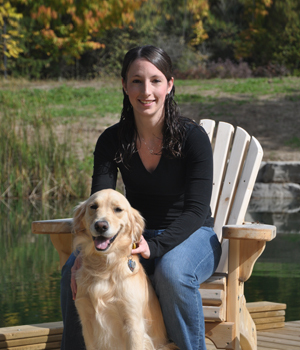 She graduated from St. Lawrence college, veterinary technologist program in 2010. She shares her home with two Goldens, Sydney and Max, Rory a newfoundland, and two cats Alvin and Gracie. In her spare time she enjoys hiking and camping, and getting to know Guelph and area; enjoying testing out new restaurants and markets.